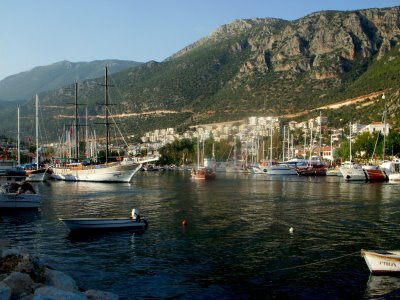 Kas is a beautiful area that is situated on the Mediterranean, and was once an area where the country sent political dissidents. 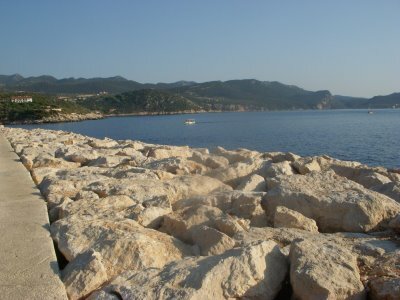 Historically, Antiphellos is the Lycian town that was located here and only the theater remains. 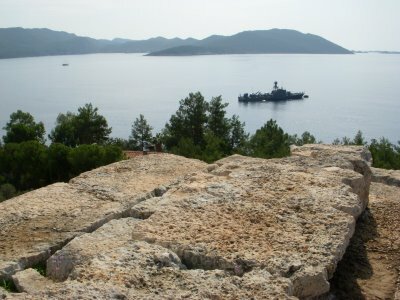 Though, the theater provides good views of harbor and the town of Kas. In the summer this place is overrun by tourism. The town considerably slower in October. After the month of October, many of the bazaar shops and restaurants close until April. The shop owners and workers go home to different areas of Turkey starting in November. During the tourism season, they work seven days a week, all day long, and then take five months off during the winter. At any rate, Kas is a lazy relaxed town despite the tourism. 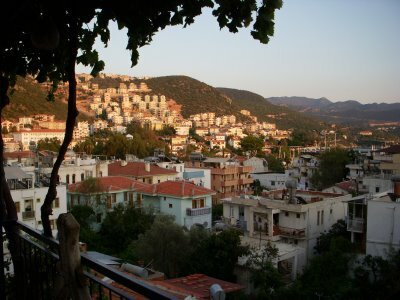 Kas a town that attracts more of the older crowd compared to Olympos that can attract the younger backpacker crowd. I would avoid both towns during high tourism season. The hotel I stayed at was wonderful, they allowed me to use their kitchen, and was a great place to get some laundry accomplished. A pleasant family runs the Santosa Pension that has a comfortable rooftop terrace. I just relaxed, and cooked my American style breakfast for three days, and did not attempt any day trips or boat trips. Next post: Aphrodisias—The Temple of Aphrodite.